Smoky eyes is sensational.This smoky eye makeup is the latest fashion trend and is widely used by all women. To get gorgeous looking smoky eyes, all you need to keep in mind is to use only dark eyeshadows, like that of dark brown, black, dark green and grey . This smoky eye makeup creates a different you, as it redefines your face. Smoky eyes look good when it is applied well. So it is best if you follow these eye makeup tips to look stunningly beautiful. Here is how you can learn to apply smoky eye makeup. 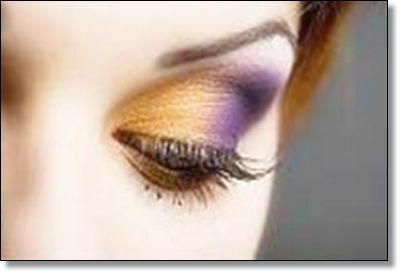 1.Get Ready – When you apply eyeshadow, make sure to first remove the oil from under the eyelids. You have to pay attention, from keeping the eyeshadow melting into the eyelid. 2.Eyeline  This is the most basic part of eye makeup. 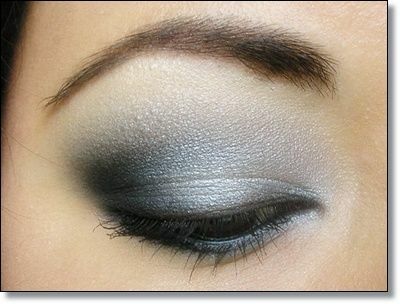 To get smoky eyes, you have to use a darker tint eyeshadow. Now, apply the eyeline to the upper eye lash leaving it thick in the middle of the eye.Apply eyeliner to the bottom of the eye too. 3.Bottom Lids  The colour on the bottom eye lid is the most important as it is the key to give you smoky eyes. Apply a lighter eyeliner to bring out the true colour of the eyes. Now gently smudge it using a cotton swab. 4.Light Base  It is best if you use a light cream base to compare it with a darker shade. Sweep a light colour eye shadow across the eyelid to the browbone. 5.Final Touch  The eyeline and the base is on the eyelid. Now, to get that perfect smoky eyes, use a dark colour like that of black or dark brown. Blend the eyeshadow gently and make sure to smudge the colour into the lash line so that the eye liner disappears. Last, apply mascara to the eye to give it that bright look which draws out the flavour of your smoky eye makeup.